Hey, do you remember #GamerGate? If not, well, feel free to brush up on the details, but in all honesty I couldn't blame you if your memory has gotten a little hazy — it's been going on for months now, seemingly unabated, with a familiar cabal of YouTube personalities, Twitter users, and anonymous trolls working ceaseless to advance what's essentially an anti-feminist, anti-progressive culture war in gaming. And throughout it all, very few voices have openly moved from one side to the other, until now: a former #GamerGate supporter has apologized to Brianna Wu, in an email which Wu posted to her personal Tumblr Friday. Rest assured, if you've felt fatigued by all this, it's worth a read — if you're wondering whether it's actually possible to win people over in this frenetic online fracas, where intimidation, threats, and harassment of women have been and remain hallmarks from the very start, it may help to take a moment to read an account from somebody who's actually turned sides. Just one necessary disclaimer: Wu states at the top that the email was "lightly edited for clarity and anonymity," and as such we won't ever get to know who precisely authored this mea culpa, unless they someday feel moved to come forward publicly. It's a little long, but it's undeniably worth your attention. Just wanted to say that I have finally broken, and it’s thanks to you, or rather, the treatment you have received since day one. I tried to tell myself that it was all about the “Gamers are Dead,” articles, and the forums, and for me it was, always. I don’t even go online to game so never even engage with people there. But I was blind, some would say willfully ignorant about it all. I told myself over and over that the abuse being received by women such as yourself was not real and put it out of my mind as I suspect many others have. I distanced myself from any abuse I did see and wrote them off as fakes, but it isn’t true is it? It’s more than the majority. I was wrong all along. I never abused, or engaged you or others, I signal boosted, supported campaigns, trying to stay away from the ignorance. 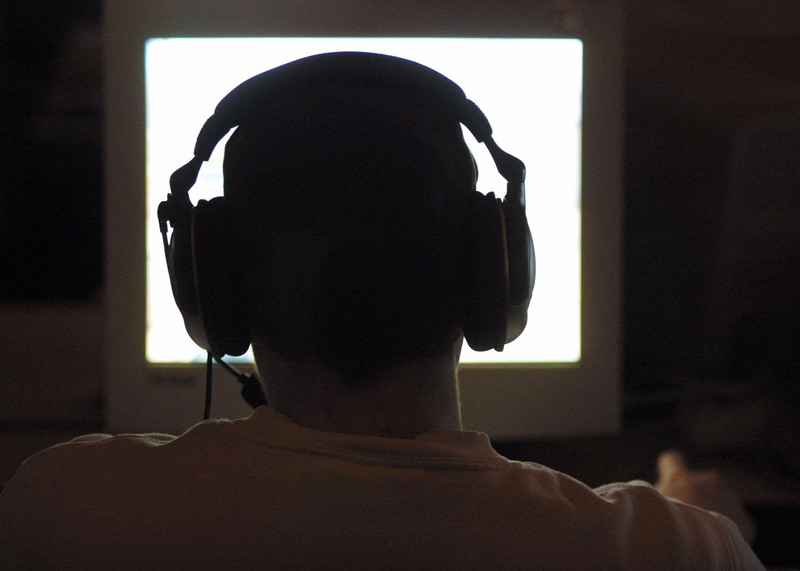 The reference to "Gamers are Dead" articles represents one of the core complaints of #GamerGate — in a relatively short span, a glut of articles were published across various gaming websites about whether the typically perceived "gamer" identity was on its way out, owing partly to a broadening consumer base and changing social norms. This was seized on by #GamerGate, spurring accusations of collusion between major websites. This is sometimes characterized by supporters as the movement's inciting incident, though in spite of whatever individual motivations may exist, that's not true — it was an invasive, violating blog by an ex of indie game developer Zoe Quinn that first set off the #GamerGate firestorm, and fueled its largely anti-feminist and anti-woman bent. Whenever a confident woman comes along to have her say in any way she is shouted down and harassed by men like me. Men who have it so easy. We are blind to the faults of society and its focus on men. We don’t like to be challenged, but we should get used to it because I have some news for you: You are winning. You are winning and these are the death throws of a petulant, selfish culture. When they said gamers were dead, I didn’t want to believe it, but in its way it’s true. Ultimately, games are for everyone and as more women are involved the culture around video games, it will change for the better. If some obnoxious boys end up leaving then so be it. I won’t, because I will accept the changes. I would say more female protagonists is desirable but it would benefit these males to have a majority even. They have no idea what it’s like to be a woman, and neither do I, but more empathy would follow. As would games with an abundance of strong non sexual women saving the day. It would at least stop them from thinking they are the centre of the universe, which is what the average Gamergater thinks. I am so sorry about the way you have been treated. You are a beautiful, talented, intelligent woman who is worth one million of those people involved in gamergate, myself included. I am no longer involved in it, in fact, I may just work against. There's something worth noting about this letter, which anyone who's followed the #GamerGate tumult over the last several months can attest to — most people involved in the movement probably won't believe its authenticity. After all, there are people out there who still don't believe women like Wu, Quinn, or feminist pop-cultural critic Anita Sarkeesian have been harassed or threatened in any significant way, despite countless examples. As such, an anonymous, eloquent letter claiming a defection from their ranks is probably going to be met with angry insistences that it wasn't written by a real #GamerGate proponent, a possibility which Wu addressed pretty succinctly on Twitter. I know though it is time for me to stand down from my pedestal and listen to women, to let them steer culture and not resist the betterment and balance they will bring. I said before you are winning. This is the long game, and as the media continues to side with the good guys these people will simply end up bickering as they do among themselves with less and less influence. Then they will fade out, leave or change. People are getting more and more despondent, and it’s your magnificent strength in the face of the abuse which does it. They can’t fathom it. You and the others. You have outfoxed everyone, Pakman, the harassers, everyone. To beat Gamergate, as a former insider, remain defiant, but aloof. You are better than these people, remember that. Don’t let them get to you. Remember there is no balance here, so don’t engage them as an equal and don’t let others do so. Laugh off petty insults if you can, but never show them you are hurt, they are getting off on that. It only encourages them. The comment about 'outfoxing' Pakman is in reference to an interview Wu did with progressive television and internet host David Pakman. In sum, it was mostly devoted to Pakman quizzing Wu on #GamerGate's various accusations about her motives and actions, after receiving a series of harrowing death threats. Wu answered all the questions, but wasn't thrilled with the overall thrust or tone of the interview — as the recipient herself of terroristic death threats, there's a case to be made that she shouldn't have been on trial as much as Pakman's questioning implied. I’m sorry for the length, but I just wanted to let you know there are people out there who you will ultimately beat and win over with your sheer integrity. You beat me, and I’m so glad. I am leaving GG so I will remain anonymous as I fear these people getting to me somehow but if you wish to talk further please do so. I will listen, and would appreciate any advice on going further to become the person I should have been as I’m quite ashamed of supporting what was an ugly, chaotic mess. I’ve rejected feminism from it’s very starting point and I’ve done nothing but stand in the way of people. If I can help let me know. Like I say, a confident, beautiful, intelligent woman worth one million of one GGer. A pretty powerful change of course, huh? Look, obviously, this probably isn't going to change anything in the near term — in my personal experience, at least, the number of #GamerGate proponents who at least appear to have this kind of mea culpa lurking within them seems like a slim number at best. But it's got to be at least slightly reassuring and heartening for the women who've been targeted by #GamerGate to see that there are kind people among them who can be appealed to. In a week in which Wu's been disgustingly harassed and taunted over the death of a beloved family dog, including by virulent Breitbart writer and #GamerGate hero Milo Yiannopoulos, it's nice to see somebody reach out to her with a message of growth and respect, instead. By all means, check out Wu's Tumblr, her Twitter account, or give her views on games a listen on the Isometric podcast — she's a dynamic voice in this discussion, and an essential follow as #GamerGate rolls along.